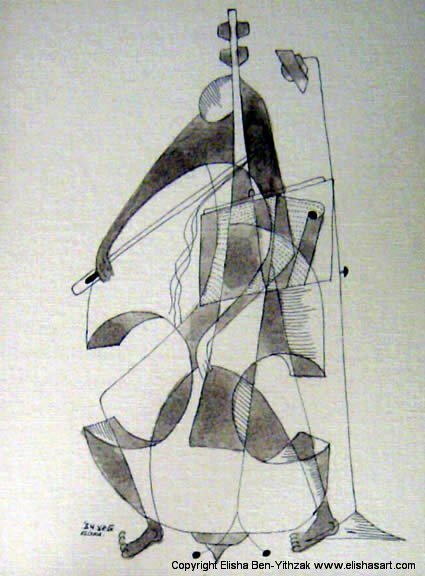 This black and white painting in a Cubism style reflects the complete concentration of a musician during a concert. i love it. it show how music is complex and also integrated with the man playing.